There’s no denying it. The Midwest just loves Tech N9ne. In anticipation of this live performance on October 10 in Lawrence, KS, TheGranada.com caught up with Tech N9ne for a quick Q&A on his roots in the Kansas City area. Well, it started in KC. The first Technicians were here. It’s where I started. And it was never written in blood that everyone was going to latch onto me, but they did, years and years ago. It has to start at home. If you can get it at home, you can get it anywhere. They say Kansas City is the hardest place to get it because people are so critical. Thank God they love me. Tech also went on to discuss his taste for Kansas City barbecue and teased fans a bit about the upcoming release of his Boiling Point EP. Those looking to give Tech the support he loves can do so on October 10 in Lawrence, KS at the Granada Theater! 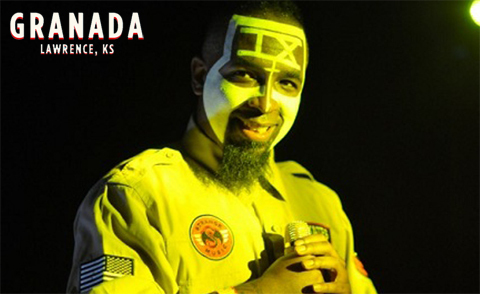 CLICK HERE FOR VIP EXPERIENCE PASSES TO TECH N9NE LIVE IN LAWERENCE, KS! Will you be catching the live show in Lawrence?